September 2nd is the feast of a little-known Dominican Nun, Bl. Ingrid of Skanninge. Ingrid Elofdotter was born in the thirteenth century in Sweden, descended from Gothic stock. 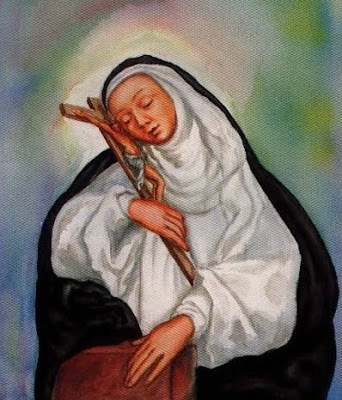 When her husband died, she dedicated all of her goods to the honor of God and, after a pilgrimage to the Holy Land, she took the habit of the Dominican nuns. 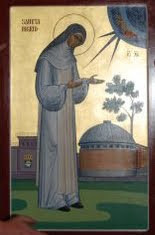 She became prioress of the new Dominican monastery in Skänninge, which she had founded, and died there in 1282. Alexander VI authorized her public cultus and the solemn translation of her relics (which took place in 1507). Bl. Ingrid's monastery suffered as a result of the Reformation but the ruins remain and Bl. Ingrid affectionately lives in the heart and history of Sweden. 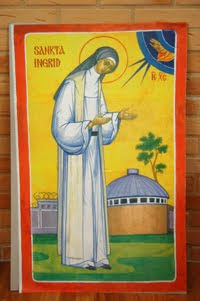 Perhaps some day, through her prayers a Dominican Monastery will once again rise up in Sweden.